Guerrilla marketing is an advertising strategy in which low-cost unconventional means (graffiti, sticker bombing, flash mobs) are used, often in a localized fashion or large network of individual cells, to convey or promote a product or an idea. The term guerrilla marketing is easily traced to guerrilla warfare which utilizes a typical tactics to achieve a goal in a competitive and unforgiving environment. The objective of guerrilla marketing is to create a unique, engaging and thought-provoking concept to generate buzz, and consequently turn viral. The term was coined and defined by Jay Conrad Levinson in his book Guerrilla Marketing (1984). The term has since entered the popular marketing vocabulary and marketing textbooks. Guerrilla marketing focuses on low cost creative strategies of marketing. Basic requirements are time, energy, and imagination and not money. Profits, not sales, are the primary measure of success. Emphasis is on retaining existing customers rather than acquiring new ones. Levinson says that when implementing guerrilla marketing tactics, small size is actually an advantage. Small organizations and entrepreneurs are able to obtain publicity more easily than large companies, as they are closer to their customers and considerably more agile. 1) Guerrilla Marketing is specifically geared for the small business and entrepreneur. 2) It should be based on human psychology rather than experience, judgment, and guesswork. 3) The primary statistic to measure your business is the amount of profits, not sales. 4) The marketer should also concentrate on how many new relationships are made each month. 5) Create a standard of excellence with an acute focus instead of trying to diversify by offering too many diverse products and services. 6) Instead of concentrating on getting new customers, aim for more referrals, more transactions with existing customers, and larger transactions. 7) Forget about the competition and concentrate more on cooperating with other businesses. 8) Guerrilla marketers should use a combination of marketing methods for a campaign. 9) Use current technology as a tool to build your business. 10) Messages are aimed at individuals or small groups, the smaller the better. 11) Focuses on gaining the consent of the individual to send them more information rather than trying to make the sale. 12) Commit to your campaign. Use Effective frequency instead of creating a new message theme for each campaign. Another method devised by Chris Swanger requires a team/think tank approach where all team members get together and come up with 2 original ideas that are very inexpensive or free to deploy. Once the idea is imagined, the team has 24 hours to execute the idea. This is called Gorilla Swang. Marketing guerrillas use common sense and knowledge to develop cost-effective marketing programs and strategies. By using their resources efficiently, guerrillas can be as effective as competitors with many times the resources and size. The fifty golden rules are a way to think about marketing. For any company, marketing is the single most critical activity, and the key to future success or failure. Without effective marketing, any company will wither and fail. By contrast, companies which develop excellent marketing programs grow, prosper and expand. Marketing holds the key to business success. Together, the rules give an insight into how marketing can be effective for any business of any size. 1. Avoid an expectation of instant results and base all marketing decisions on long-term success. 2. Marketing profitability is markedly enhanced when you can clearly identify your specific target market. 3. Marketing turns prospects into customers by knowing exactly what the right people are after when they buy your product. 4. Selling a solution to a common problem is much more effective than selling a positive benefit. 5. Your own customer list is the key to your future marketing success if you gather and store enough details on each and every customer. 6. Customers should be shown genuine appreciation and reverence by consistently maintaining contact and adding new products or services geared to their needs. 7. A business should be organized to make it easy and convenient to obtain your product or service from the customer’s perspective alone. 8. Surveying your customers builds a link between you and that customer, and forms the foundation for long-term repeat business and future profitability. 9. Effective marketing is always structured as a sales approach rather than an effort to entertain. 10. New product introductions influence prospect opinions far into the future. Target new product launches to create the right impression with the right people. 11. Successful companies look at marketing as an ongoing process, with profits directly driven by know-how. The more you know, the better results you can generate. 12. The best and most profitable marketing is totally and completely honest and truthful. 13. Marketing is intended to generate increased business profits, not simply higher sales turnover. 14. Successful companies aim first to secure a share of the prospect’s mind through repeated advertising and overall market awareness. A share of sales automatically follow. 15. Effective marketing has style and substance – emphasizing essential points while capturing attention. 16. Marketing material must be as interesting as possible. This captures attention and maintains interest for as long as needed to make the sale. 17. Pay particular attention to timing. Marketing productivity is directly related to offering a product or service which is aligned with the general market’s mood and focus. 18. Prospects will always recall the most clever part of your marketing program: make sure it motivates them to buy your product or service. 19. Everyone loves to be bribed to buy a product or service. Use this marketing fact to your advantage. 20. In marketing, the key is not to save money but to have every investment pay significant dividends. 21. A prospect is much more likely to buy if they have already taken the time to request more information from you. 22. A small share of a huge market can be very profitable. Guerrillas pinpoint prospects and market to one person. 23. Never sacrifice profits for originality. Stay doggedly with existing marketing until it no longer produces results. 24. To generate the greatest profits, your marketing must protect you from other guerrillas and be innovative. 25. Creating and filling a unique niche is the key to success in the marketing of services. 26. You can have your product sold in any store you like if you arrange TV marketing beforehand. 27. To succeed at marketing, one person must be able to regularly and consistently apply the time and energy required. 28. Ongoing marketing success is more likely to be based on cooperation than on competition. 29. Your marketing materials must focus on creating or identifying your company’s competitive advantages. 30. 90% of the time spent developing an advertisement should be spent on the headline for a print ad or the opening line for a radio or TV commercial. 31. Dynamic marketing materials use a vocabulary of interesting, potent and powerful words. 32. Effective marketers make a human bond before seeking to establish a business bond. 33. Avoid the use of humor in all marketing unless it is directly related to your product. 34. The credibility of any marketing material is directly proportional to the amount of specific data included. 35. The use of multiple marketing weapons increases the effectiveness of each individual marketing initiative. 36. Sometimes, you just have to use a gimmick that stops people in their tracks. 37. Have all marketing materials professionally produced, because even a hint of amateurism in your materials will lose sales. 38. Knowing more about your competitors and your industry than anyone else will open the door to more opportunities your company can exploit. 39. Business credibility enhances the results of all marketing carried out by your company. 40. Successful marketers exercise restraint in changing their advertising, and refuse to meddle unless there are good and sound reasons to do so. 41. Generally speaking, the greatest profits are generated by companies which are second in any market. 42. Companies that succeed over the long-term prove to their clients or customers that they care. 43. Companies focusing on what they can give people are more successful than companies built around what they can take. 44. The most effective use of a business network system is to ask questions and learn about the problems of people who are in business. 45. Pioneers for any new product or service must be prepared to overcome apathy and fear. 46. When the economy slows down, focus marketing on existing customers and large transactions. 47. For very important clients or customers, you should create exceptional marketing programs. 48. A long time frame is essential for planning, creating and evaluating the effectiveness of marketing. 49. A sales transaction is not a standalone event. It is the beginning of a close and effective business relationship. 50. Any company which fails to take control of its marketing leaves its future in the hands of its competitors. Want to learn more? Learn about the 50 golden rules of Guerrilla Marketing in details then GET the book here, Guerrilla Marketing Excellence. Don’t forget to select your weapons at, Guerilla Marketing Weapons. A marketing awareness should color every action you take in business. When laying plans for the future of your company, your marketing program should provide the bedrock foundation around which all other business planning is built. It should influence your current operations, your customer relationships, service and product expectations and future promotional programs. Asking any prospect to spend money on buying your product or service is always going to be a serious matter, and all marketing should be designed to reflect that fact. Avoid an expectation of instant results and base all marketing decisions on long-term success. Marketing results flow from the combined effect of all initiatives. A guerrilla sets long-term marketing goals, develops a marketing plan and allows enough time for marketing to persuade potential clients and generate demand for the product. By contrast, the average business manager gets nervous when instant results do not appear, and wants to regularly change marketing ideas before they have time to take effect. Marketing profitability is markedly enhanced when you can clearly identify your specific target market. Many companies cannot quantify the business line they are in or the key groups which make up their market. Guerrillas know their targets inside out: what they read, how they think, what problems they face. Because guerrillas know exactly what their prospects are thinking, they can more effectively convert prospects into clients or customers. Marketing turns prospects into customers by knowing exactly what the right people are after when they buy your product. Marketing should be geared specifically to people who are already in the market for your product line or service type. Your marketing then needs to show that your product / service is available, affordable and highly beneficial to the prospect’s requirements. Smart marketing involves and informs prospects, and acknowledges that people do things for their own reasons. Selling a solution to a common problem is much more effective than selling a positive benefit. Guerrilla companies position themselves as problem-solvers. For these companies, marketing highlights the problem and offers a product or service as a solution, adding other benefits as additional reasons for buying. The most profitable guerrillas focus on solving just one single problem. Highly profitable marketers sell solutions – not features, not benefits. Your own customer list is the key to your future marketing success if you gather and store enough details on each and every customer. Your current customer’s problems are a mirror image of the needs and requirements of the larger target market your marketing should appeal to. Additionally, past or current customers are ideal prospects for future repeat purchases. To leverage this asset, you need to maintain a database of every customer’s business, lifestyle and personal background. Customers should be shown genuine appreciation and reverence by consistently maintaining contact and adding new products or services geared to their needs. Repeat business requires far less marketing expenditure than new business. Therefore, by staying in close contact, guerrillas gradually increase profitability by selling additional products or services to existing customers. To do this, the marketer must know exactly how existing customers think and feel. A business should be organized to make it easy and convenient to obtain your product or service from the customer’s perspective alone. Effective marketers bend over backwards to gear their entire business operation towards one strategic goal: to make it as easy and convenient as possible to do business. Examine business hours, ordering procedures, service times and every other factor from the perspective of saving your customer’s time and energy. Surveying your customers builds a link between you and that customer, and forms the foundation for long-term repeat business and future profitability. Successful companies treat their customers like partners. They create regular opportunities for the customer to express their needs so the company can tailor its products and services to meet the needs and the personality of its customers. Some companies even go as far as analyzing the handwriting on questionnaires to obtain further insight into the personality of customers. Effective marketing is always structured as a sales approach rather than an effort to entertain. New product introductions influence prospect opinions far into the future. Target new product launches to create the right impression with the right people. Some prospects buy simply because something is new and improved, while others steadfastly refuse to try a new product. Target the vast middle ground with a new product. Explain why it is better with enthusiasm and convey a spirit of excitement about the additional benefits customers will receive from the upgraded product or service. Successful companies look at marketing as an ongoing process, with profits directly driven by know-how. The more you know, the better results you can generate. Marketing knowledge, know-how and insights confer major competitive advantages. Successful marketers are continually reading books, attending seminars and going through newsletters to gain new ideas, experience and insights. The best and most profitable marketing is totally and completely honest and truthful. Successful companies never overstep the line between exaggeration and dishonesty. To generate credibility, you may find it helpful to admit a mistake from the past and explain how that mistake was corrected. Alternatively, you can position your company as the leader in your field by publishing a newsletter, a book or by running a seminar. 1. Avoid descriptive adjectives. Use everyday language. 2. Include specific facts rather than opinions. 3. Mention names, dates and places. Marketing is intended to generate increased business profits, not simply higher sales turnover. The true measure of marketing effectiveness is how it affects the company’s bottom line. Anyone can increase sales of products or services by making offers which are unprofitable. The true measure of effective marketing is that sales are made at a price level which generates increased profits for the seller. The key marketing ratios are cost per sale and profit per sale. Effective guerrilla marketing strives to lower the cost per sale and increase the profit per sale on an ongoing basis. 1. All marketing material must contain your company’s number one benefit and your unique selling point. Tell prospective clients or customers why they should use you and not your competitor. 2. Avoid institutional advertising. Use direct-response marketing materials instead. 3. Provide ways for prospects to try your product or service without any financial risk. 4. Test all marketing programs continually. Compare results generated from a number of different approaches, and fine-tune your marketing. 5. Always use a headline on every ad. Headlines can improve response rates up to 2,100 percent. 6. Test a range of prices, including higher prices. 7. Increase the length and amount of marketing information. Prospects who are vitally interested will read every word. 8. Align everyone in your company to the goal of increasing company profits. All compensation programs should be geared to allow people to earn more as the company generates more profits. 9. Establish ongoing marketing as the engine which will power the company forward. Innovative and profitable marketing success comes not from good luck but from sound planning, efficient execution and consistent high-quality follow through. A company doesn’t need to be huge to be successful in marketing. Successful companies aim first to secure a share of the prospect’s mind through repeated advertising and overall market awareness. A share of sales automatically follow. When a company has established itself as the leader in its field in the mind of the prospect, they will then think of that company first when it is time to buy. To achieve this takes ongoing marketing and a reasonable degree of repetitiveness. Only successful companies run long-term marketing which is highly repetitive and consistent, and never drop completely from view. Marketing must be cohesive and focused. Effective marketing has style and substance – emphasizing essential points while capturing attention. Creativity should never overwhelm the goal of conveying unambiguous information in marketing. The emphasis must be on substance, because that’s what actually motivates people to buy a product or service. The key is to always market substance and to do it with style. Marketing material must be as interesting as possible. This captures attention and maintains interest for as long as needed to make the sale. Nothing in a marketing message has any influence unless the prospect pays any attention. To gain interest, you must first gain attention with something relevant. People pay attention only to those things they are vitally interested in. 1. Use an effective headline. 2. Include directly relevant photos, illustrations or charts. 3. Use personal rather than mass market language addressed to one intelligent reader. 4. Use dynamic and vibrant language in short sentences and paragraphs. 5. Include testimonials or other real world experience. 6. Provide worthwhile and valuable advice and information. 7. Be specific, favoring exactness over adjectives. 8. Stress how affordable the product or service is. Pay particular attention to timing. Marketing productivity is directly related to offering a product or service which is aligned with the general market’s mood and focus. In marketing, timing is everything. Savvy marketers create a wide range of marketing materials such as direct mail letters, radio commercials, brochures, print ads and more. These materials can then be put into action at a moment’s notice when some event takes place which is an ideal lead-in for a marketing initiative. Timing also means working out all the kinks before running a huge opening special, arranging supply and distribution before seeking publicity and being attuned to current events. Prospects will always recall the most clever part of your marketing program: make sure it motivates them to buy your product or service. Do you run advertisements to win awards or to make sales? Being clever may be great for the judges but serves only to confuse in the real world. 1. The message is startling, surprising and riveting. 2. One prime benefit is clearly highlighted. 3. The reader or viewer becomes caught up in the action. 4. Curiosity is sparked by the marketing material. 5. Action is suggested and directions given. 6. The material is thought-provoking. 7. Both text and illustrations are complimentary. 8. No exaggerated claims are included. 9. The material is professional looking and credible. 10. Sufficient motivation is included to close the sale. Everyone loves to be bribed to buy a product or service. Use this marketing fact to your advantage. Bribes – in the form of advertising give aways – generate positive feelings and even an obligation to buy. Free gifts can be used as a sales inducement, as a reward to a loyal customer, as a door opener or to start generating momentum towards a sale. The only rule is to never give away a bribe unless you define exactly what you’re trying to accomplish and have some way to measure whether your goal is achieved. In marketing, the key is not to save money but to have every investment pay significant dividends. Marketing should be gauged by the same criteria any investor uses to evaluate investments: in terms of cost and benefit. Marketing costs too much when the results are less than the cost. Too little has been spent when more marketing would have generated greater profit. Street smart marketers are constantly on watch for ways to reduce marketing expenditure: through cooperative arrangements with other companies, by using smaller ads, by copying successful companies, finding multiple applications for materials, using per order sales arrangements, etc. 1. Offering a free sample. 2. Offering a free report or booklet. 3. Offering a free brochure with more detailed information. 4. Offering a free videotape or audiotape. 5. Offering a free seminar, newsletter or consultation. 6. Offering a free demonstration. Most successful marketing generates momentum through media ads containing information followed up with an offer of a free brochure and a free personal consultation to evaluate their requirements and establish a service base. Working from the base of these three steps, the prospect is then asked for the order. A small share of a huge market can be very profitable. Guerrillas pinpoint prospects and market to one person. Prime prospects are in the market for whatever you sell and are very likely to make a purchase in the immediate future. This category includes lower-level employees in large companies who will actually use your product or service. Guerrillas sell to prime prospects through consultative selling – that is, by selectively providing free services and useful information until rapport and trust has been established. Never sacrifice profits for originality. Stay doggedly with existing marketing until it no longer produces results. Whenever a marketing idea has been successful, run it again rather than change it simply for the sake of originality. Effective marketing is very hard to develop, so when you have something that works well, use it time and time again. Repeat advertising is a hallmark of a successful company. Don’t even consider changing whatever works until it stops producing results or you’ve developed something even better. To generate the greatest profits, your marketing must protect you from other guerrillas and be innovative. 1. The arrogance of refusing to consider any idea because it was not invented here. 2. Aiming solely for the high end of your market and ignoring the multitude of little guys who still need service. 3. Mistaking the cost of producing something with the benefits the customer receives and the price he is willing to pay. 4. Charging premium prices rather than constantly exploring ways to achieve higher profit margins by lowering costs. 5. Pricing yourself out of the mass market by adding more and more expensive features. Guerrillas practice entrepreneurial judo. They secure a foothold in one segment of their market before expanding into other segments. They also realize market share is not won by offering the same product or service at a lower cost. Additional and innovative new features are also required. Creating and filling a unique niche is the key to success in the marketing of services. Free demonstrations over limited periods and testimonials are ideal marketing weapons for a business service. In fact, services are very flexible and service providers can position their service to occupy any specific and profitable niche. 1. Questionnaires to identify add-on service products. 2. Network marketing by joining professional associations. 3. TV advertising showing before and after situations. 4. Trade shows, seminars and public demonstrations. 5. Direct mail programs incorporating novelty items if possible. (As a rule of thumb, a successful direct mail campaign must earn at least 2.2 times its cost to be successful). 6. Sending reminders of your service to past customers. 7. Making direct sales presentations to potential customers or clients. You can have your product sold in any store you like if you arrange TV marketing beforehand. If you have a product and require retail store distribution, never go to a potential store empty handed. Have a professional 30-second television commercial prepared, with a 5-second spot at the end to show the names of the stores which will carry your product. When you show this ad to the store buyer, explain that if they will take a sizable order and carry your product, you will run the ad at no cost to the store whatsoever. Every store will be interested in this type of arrangement. You should also supplement this technique by preparing professional in-store signs which tie in with the TV commercials. To succeed at marketing, one person must be able to regularly and consistently apply the time and energy required. An effective ongoing marketing program must be run by one person with the right attitude, instincts and personality. That person assumes full responsibility for staying up to date on the latest ideas, and knowing how to apply those ideas in the particular line of business your company is in. 1. To continue to maintain the company’s marketing efforts so new customers are generated on a regular basis. 2. To track how effective marketing programs are for future reference. 3. To develop new and improved marketing initiatives using original ideas and concepts. In some companies, the manager will also act as the marketing manager. In other companies, an employee will be designated as marketing manager. The important point is not who acts as the marketing manager but that someone consistently and thoroughly follows through on all marketing programs. Ongoing marketing success is more likely to be based on cooperation than on competition. Strategic alliances which benefit all parties are most definitely the business approach of the immediate future. An alliance offers the opportunity to increase profits, provide added value and form beneficial business associations with long-term partners. In essence, you should look at everyone you do business with as a potential ally in a strategic alliance. From this perspective, you can look towards generating a competitive edge for both partners through collaborative marketing tie-ins, joint promotions or any number of other ventures. Successful strategic alliances can be formed in any business area: planning, marketing, technology, inventory, staff, financial resources, logistics, packaging, pricing, product design, distribution and more. The scope of any strategic alliance is limited only by the imagination of the partners. Many products or services are so similar to their competitors that they are differentiated only by their marketing. Therefore, when you develop marketing materials for your own product or service, you hold the key to customer expectations and perceptions. Develop all materials to build upon, strengthen and enhance your competitive advantage or advantages. Remember, people will identify your product on the basis of your marketing. What signal does your material send? Your marketing materials must focus on creating or identifying your company’s competitive advantages. 1. The general market perceives as an advantage. 2. Is different from whatever your competitors offer. 3. That is genuinely useful and beneficial. 4. Is credible and logical to customers. 5. That motivates to buy your product or use your service. When you have a compelling competitive advantage, you don’t need fancy slogans or graphics to sell your product. All marketing materials should then be designed to clearly and simply state the truth about your company’s product or service. Every successful company in history has developed a strong competitive advantage. The possibilities are endless and include free pickup and delivery, faster service, on-site consultation, more frequent follow-up, free service, installation help, expert consultative services, etc. 90% of the time spent developing an advertisement should be spent on the headline for a print ad or the opening line for a radio or TV commercial. 2. Intrigue a prospect so much they want to know more. If the headline or opening line fails, then the rest of the ad is totally wasted. Most people make a decision whether to read a print ad solely on the basis of the headline. Similarly, the opening line of any TV or radio commercial dictates whether or not they pay attention to the bulk of the commercial. An effective headline or opening line strikes directly to the heart and mind of the prospect and gives a hint of the potential benefits from the bulk of the marketing message. Dynamic marketing materials use a vocabulary of interesting, potent and powerful words. In marketing, not only what you say but also how you say it is important. Therefore, successful marketers build up a specific vocabulary of powerful words which convey a vibrant and energetic message. Equally important, another list of words which are to be avoided at all times are also kept. Guerrilla marketers develop and hone their lists over time so that future marketing materials can concentrate on including the powerful words and avoiding the negative words. That way, the optimum message is conveyed by all marketing materials. Effective marketers make a human bond before seeking to establish a business bond. Guerrillas work hard to make people feel good about doing business with them. That means you need to inject some of your company’s personality into all marketing programs. It also requires you to go out of your way to make doing business with your company as easy and convenient as possible. Injecting warmth and the personal touch into marketing isn’t easy but it does build a lasting customer relationship. The goal is to build long-term profits by having people like doing business with you, trusting your company and relying on your product or service. Avoid the use of humor in all marketing unless it is directly related to your product. Spending hard-earned money on your product or service is never a light or humorous matter for your customers. Therefore, humor should never replace a simple statement of the essential facts and benefits prospects will receive if they become customers. Marketing humor has the potential to back-fire and become irritating at best and certainly counterproductive. It is generally the last resort of the unimaginative. There is a danger that people will remember the joke but can’t recall which product was advertised. Marketing is supposed to create a desire to own. Humor sparks a desire to laugh, not to buy. The credibility of any marketing material is directly proportional to the amount of specific data included. People automatically take any claim made in an advertisement with a grain of salt – unless specific names and numbers are included. When facts, case histories and real-life examples are provided, your material leaps the believability barrier, and becomes more compellingly important. Never miss a chance to fill marketing material with specific information. The use of multiple marketing weapons increases the effectiveness of each individual marketing initiative. To make products stand out in the marketplace, a combination of marketing approaches are generally required. Each additional approach will not only generate increased business in its own right, but will reinforce and improve the effectiveness of other marketing initiatives. For example, a direct mail campaign supplemented by magazine or newspaper advertising will generate more results than either a standalone direct mail or standalone media marketing approach. Knowing this, the guerrilla marketer always looks for marketing combinations. The possibilities are enormous and run the full range from free seminars to billboards to print media ads to TV spots and so on. Many products are sold with a two-step strategy. People are encouraged to attend a free seminar or request more detailed information first before they are asked for an order. For these types of products, the multiple marketing approach system works exceptionally well. Sometimes, you just have to use a gimmick that stops people in their tracks. Never underestimate the power of doing something that nobody else has ever attempted. It’s guaranteed to secure the undivided attention of your prime prospects, and a whole lot more. With a little creativity, any company can do something which is totally unexpected, even a little oddball. In fact, the stranger it is, the more likely you’ll generate some free publicity for your business. Just ensure that the gimmick strengthens rather than detracts from the actual object of the exercise: to build goodwill for your company in the broader community and to generate new customers or clients. Have all marketing materials professionally produced, because even a hint of amateurism in your materials will lose sales. On any marketing project, 10% of the total budget should be spent on having all materials professionally produced. This is a critical area in which a do-it-yourself spirit can literally put you out of business. The skills and tools required to produce professional quality marketing materials are highly specialized. They are also readily available to any business in the form of service agencies, advertising companies, video production companies and printers. Use these professionals without hesitation to generate world class materials for your company. While you use the professionals to prepare your material, you also should be aware that this does not require you to lose control over your marketing program. On the contrary. While using these outside resources to add polish to your marketing, the essential thrust and direction of your marketing should still be guided by your judgment alone. Successful companies do everything better than their competitors. That is, they offer products with more features, provide superior follow-up service and tailor all marketing to stress these competitive advantages. They also have a realistic and accurate picture of the relative strengths and weaknesses of all competitors. Knowing more about your competitors and your industry than anyone else will open the door to more opportunities your company can exploit. Every business is keen to know how it compares with its competitors. The most accurate and definitive way to gather this information first-hand is to phone, visit and order from your competitors. You can then decide, from the perspective of a customer, how you compare and make improvements where needed. By the same token, being keenly aware of the trends and developments within your industry will point the way towards excellence. Each industry has a vast number of new and emerging opportunities that are available to generate profits if they can be identified early enough. Business credibility enhances the results of all marketing carried out by your company. Everything your business does from its office location to the quality of its printed materials and the attire worn by your staff either builds or detracts from credibility. The higher the credibility in the mind of the prospect, the more likely they are to buy a product or service from you. With that in mind, guerrillas work hard at building credibility in every area. A shortcut to generate credibility is to take out a full page ad in a national business magazine. You can then display reprints of the ad on your premises and incorporate them into other marketing programs. Successful marketers exercise restraint in changing their advertising, and refuse to meddle unless there are good and sound reasons to do so. The hallmark of successful marketing is its repeatability. Good ideas will generate sales year-in and year-out. Yet many marketers feel a need to change just for the sake of change rather than for any specific reason. Once you’ve carried out your experiments and committed to a full marketing program, resist the urge to dull the effectiveness of your weapons by constantly changing directions. The trick is to get marketing right when planning and then let it work over the long-term. Generally speaking, the greatest profits are generated by companies which are second in any market. When a guerrilla marketer enters a new business field, he doesn’t aim to immediately become the leading company in that field. He first positions himself as the number two company. That way, he can pick up all the dissatisfied customers who have been ignored by the market leader. Once the guerrilla is firmly entrenched, he then develops and executes a sustained long-term marketing offensive with the objective of moving from the number two position to market leadership. From this perspective, marketing becomes a process rather than an event, and the guerrilla can then confidently move forward into market leadership on the basis of satisfied customers and consistent marketing. Companies that succeed over the long-term prove to their clients or customers that they care. A dedication to customer care consists of showing customers their opinions about and experience with your product or service is vitally important. The key lies in attention to details. When your company goes out of its way to respond to customer complaints, you build a bond with that client. If you don’t do that, your competitors will. Companies focusing on what they can give people are more successful than companies built around what they can take. 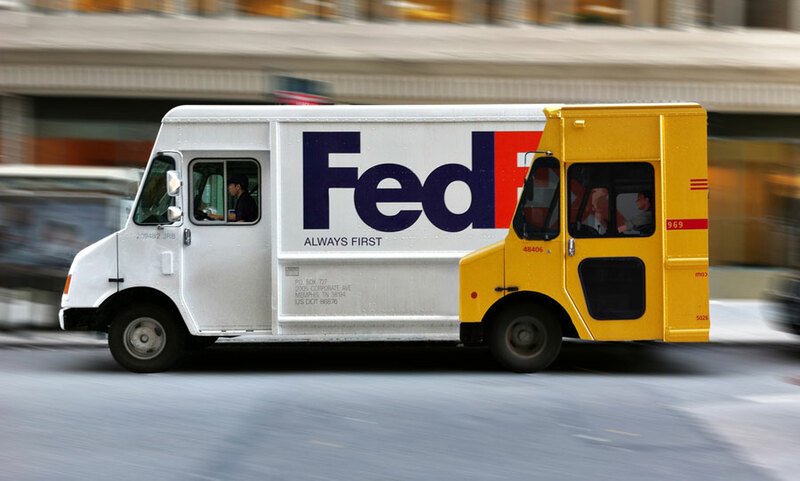 Guerrilla marketers find ways to consistently deliver a better service than clients or customers expect. They do this by incorporating a number of value-added features which other competing companies aren’t offering. They also use promotional give-aways which both entice new customers and breed loyalty among current customers. The value of this lies not in the price of the give-away but in the added-value of an unexpected bonus. The most effective use of a business network system is to ask questions and learn about the problems of people who are in business. The purpose of networking should not be to sell directly but to gather street smart information about the real world needs of other business professionals. By asking questions, problems can be revealed. The guerrilla then focuses on developing solutions to those problems. 1. States your business purpose for networking. 2. Lists the items of value you’re willing to give away. 3. Outlines the target groups with which you want to network. 1. A guest speaker on a very topical subject. 2. A chance for everyone to introduce themselves. 4. A list of the right people to invite – prospects for your product or service. Pioneers for any new product or service must be prepared to overcome apathy and fear. 1. Stresses how many people have already purchased and how many repeat purchasers there are. 2. Offers more information than normal to provide assurance. 3. Includes a money-back guarantee, can’t-lose warranty and a description of your superior service follow up. 4. Mentions a number of well known companies who have already purchased the product or service. 5. Uses the example of other successful product breakthroughs to remind prospects everything is new at some stage. 6. Avoids the use of words such as breakthrough, revolutionary or advanced. Instead, the benefits are left to speak eloquently for themselves. When the economy slows down, focus marketing on existing customers and large transactions. Guerrillas market aggressively but effectively during a recession because everyone else will cease marketing. In fact, a guerrilla tries to expand his product offerings to existing customers by adding new products or services which offer great value. Anytime there is an economic downturn, people focus more on value than any other factor – creating tremendous opportunities. A guerrilla convinces prospects to buy now because of the recession. Guerrillas also realize that large companies scaling back for an economic slowdown are going to leave segments of their existing customers unserviced. By being aware of this, a small and flexible company with low overheads can move into these niche markets and provide added value to new customers. During a recession, guerrilla marketers focus intensely on their customer follow-up, and get alongside customers and clients to provide relevant products and services that will help. For very important clients or customers, you should create exceptional marketing programs. When you have a small and well defined pool of key buyers for your product, you can embark on a luxury marketing strategy. This means lavishing the prospect with first-class treatment and attention at a suitable sporting or artistic event. For example, many sports stadiums now boost corporate boxes for entertaining. Perhaps these boxes are available for use on a casual basis when the long-term renter is elsewhere. Invite a few prospects, some of your best customers and key staff along to the box for the event, and provide a first-class experience throughout. It’s just one part of the total marketing mix, but it can make a highly favorable impression on potential clients. A long time frame is essential for planning, creating and evaluating the effectiveness of marketing. When creating marketing materials, there is speed, quality and economy. You can have any two of these factors but not all three simultaneously. Therefore, by planning ahead 12 months at a time, the guerrilla marketer opts for quality and economy in all marketing materials, which in turn leads to profitability. By planning ahead and preparing marketing materials one to three months before they are required, you provide a realistic opportunity for the professionals involved in preparing the materials to add their own creative ideas. A sales transaction is not a standalone event. It is the beginning of a close and effective business relationship. Guerrilla marketers measure the success of a business relationship solely in terms of the ongoing success of the customer. With that emphasis and focus, the side benefits to the guerrilla are referral sales, repeat business, higher volumes and sales that can be relied upon. A guerrilla contributes to the success of his customers by providing information, education, attention, advance notice of new offerings, suggestions and samples. Underlying all these, the effective guerrilla ensures the customer is pleased with their original purchase by providing superior added-value and features. Any company which fails to take control of its marketing leaves its future in the hands of its competitors. Any company which simply advertises and thinks that is marketing will always be at the mercy of a guerrilla marketing company which devotes serious time, resources and energy to developing a solid marketing plan. – Concentrate on what they do best. – Develop close customer relations with two-way channels of valuable communication flowing. – Encourage excellent public relations. – Maintain exceptionally high quality standards. – Focus exclusively on the needs of the customer. – Utilize long-term planning and execution cycles. – Expect reasonable and sustainable returns on all investments. – Understand the distinction between efficiency and effectiveness. Guerrillas understand that rather than requiring large amounts of money, effective marketing requires considerable levels of common sense. To understand customers’ feelings is understanding the trend of the guerrilla marketing strategies, the bottom line of any marketing issues were based on feelings and willingness of the buyer and the seller to face realities. Guerrilla marketing was initially used by small and medium size (SMEs) businesses, but it is now increasingly adopted by large businesses. Risks include misrepresentation of the brand image intended to be promoted as word of mouth does not always present the brand image decided, as well as reception of wrongly place products as against the interests of the consumer. Often guerrilla marketing is not very definitive if it tries to promote brand image thoroughly and creates false rumors about the brand. Also, devices used might be misunderstood, for instance: On January 31, 2007, several magnetic boxes with blinking LED cartoon figures were attached to metal surfaces in and around Boston, Massachusetts to promote the animated series Aqua Teen Hunger Force. The boxes were mistaken for possible explosive devices, and several subway stations, bridges, and a portion of Interstate 93 were closed as police examined, removed, and in some cases, destroyed the devices. In some cases, risks are assessed and considered worthwhile. For example, some guerrilla marketing may incite the ire of local authorities, such was the case in Houston, Texas, when BMW’s ad agency (Street Factory Media in Minneapolis) attached a replication, made from Styrofoam, of a Mini-Cooper to the side of a downtown building. For the cost of a small city-issued fine, the company received front page advertising on the Houston Chronicle. At eMarketing Mixology we believe that knowledge should be shared – freely and openly, not restricted. LIKE our Facebook page at Official Digital Marketer and get 4 digital marketing ebooks for FREE. Please click the LIKE button— . You will be redirected to our download page. Thanks! Get the ebooks and if you are not satisfied, you can unlike it anytime. No strings attached. The eBooks is not double-spaced or have very large font size just to increase the number of pages. Your email is not needed, we are not doing list-building and sell you something in the future. This is not a bait and catch scheme, Pure ebook ONLY!